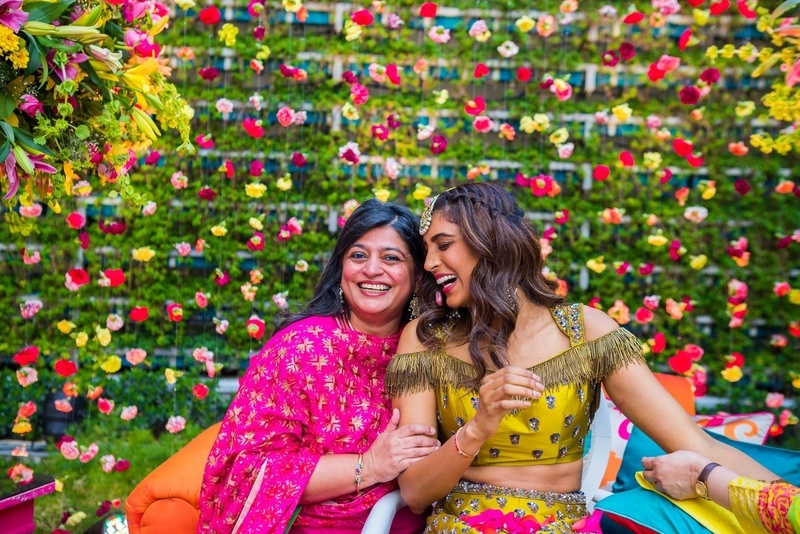 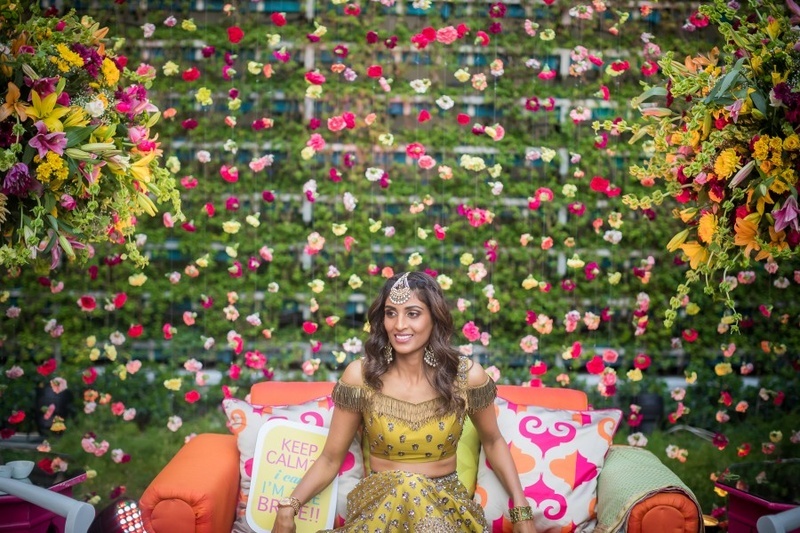 This bride's South-meets-North wedding will give you some unique bridal look ideas to pull off! 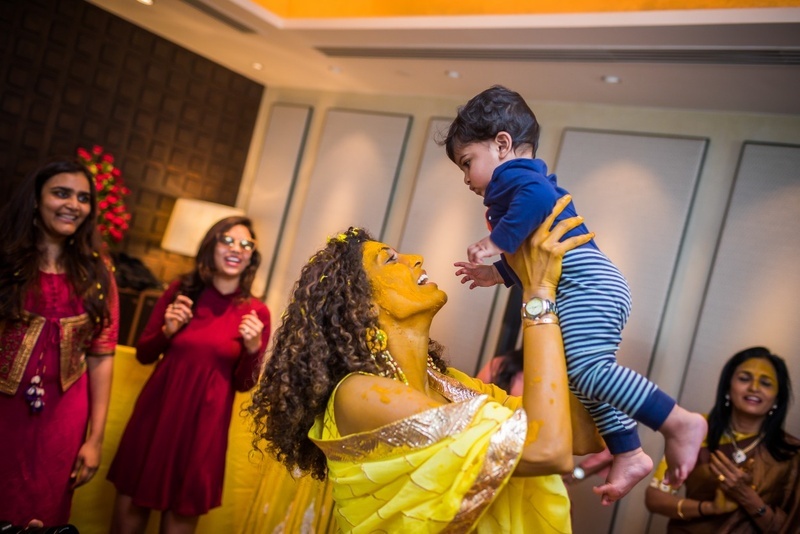 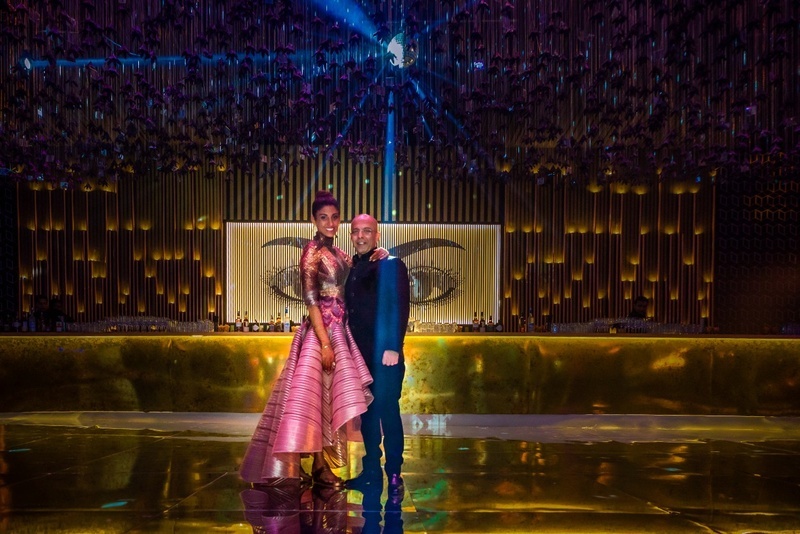 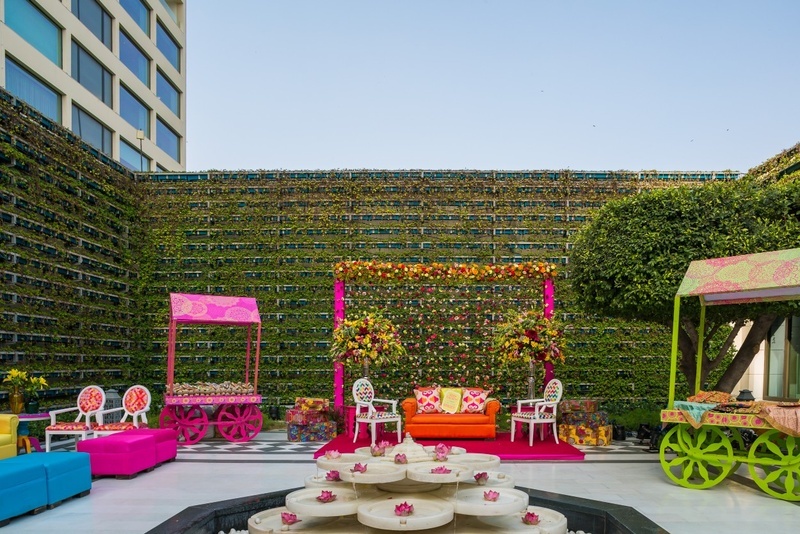 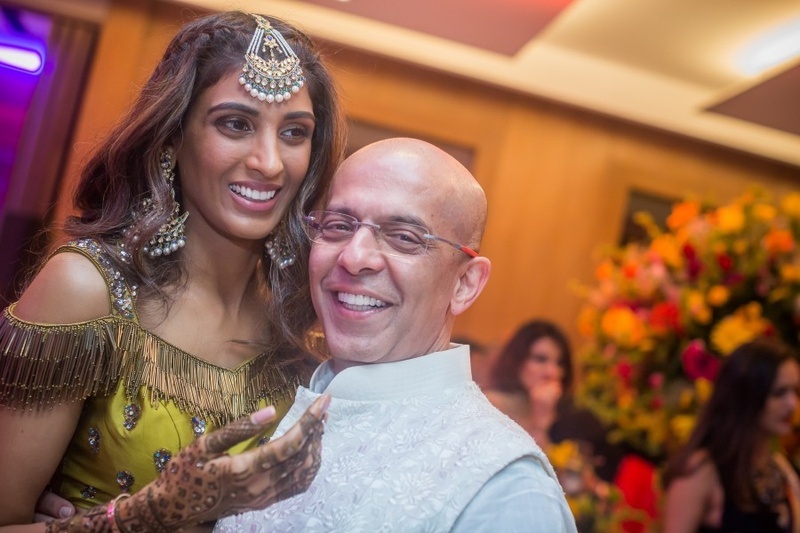 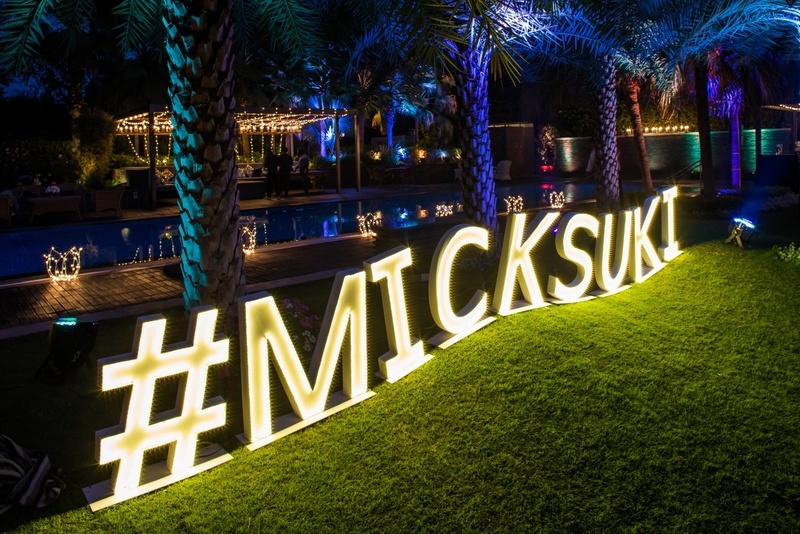 The magnificent wedding bash of Atul and Vasuki held right near the skyline of Mumbai in the grand Oberoi Hotel would make your heart melt. 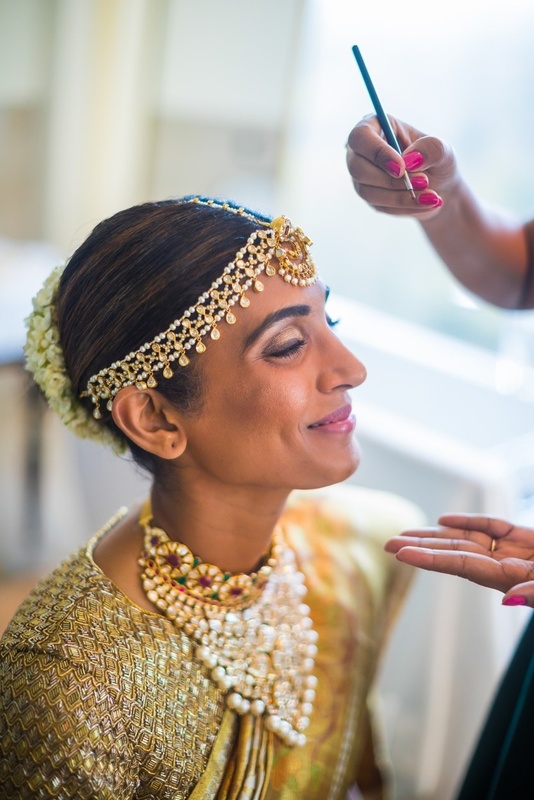 Vasuki opted for a glam look for all her wedding functions and her trousseau is the answer to all you modern brides’ queries. 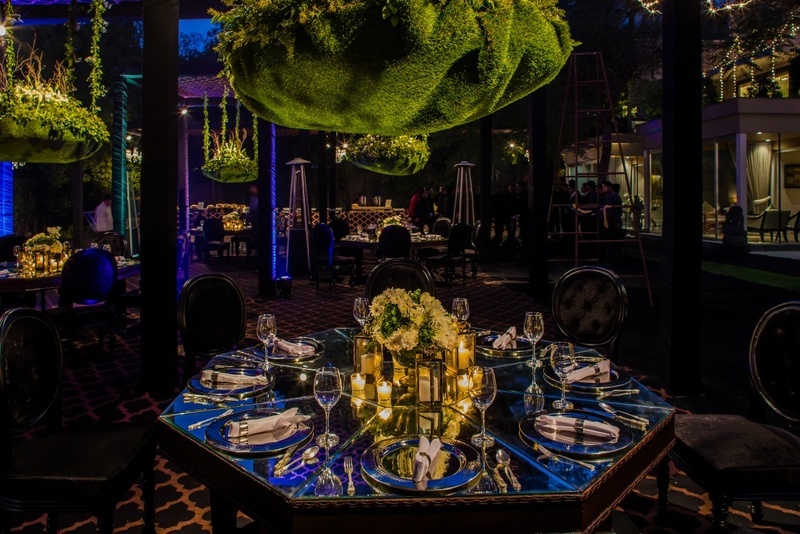 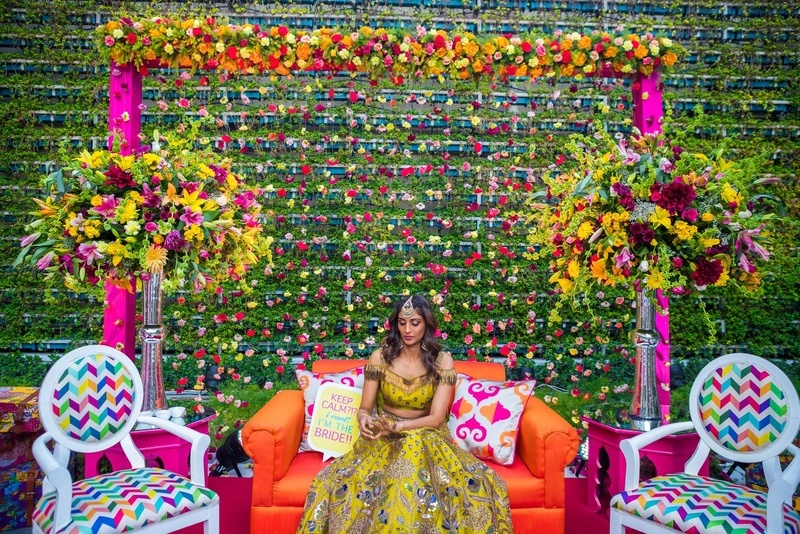 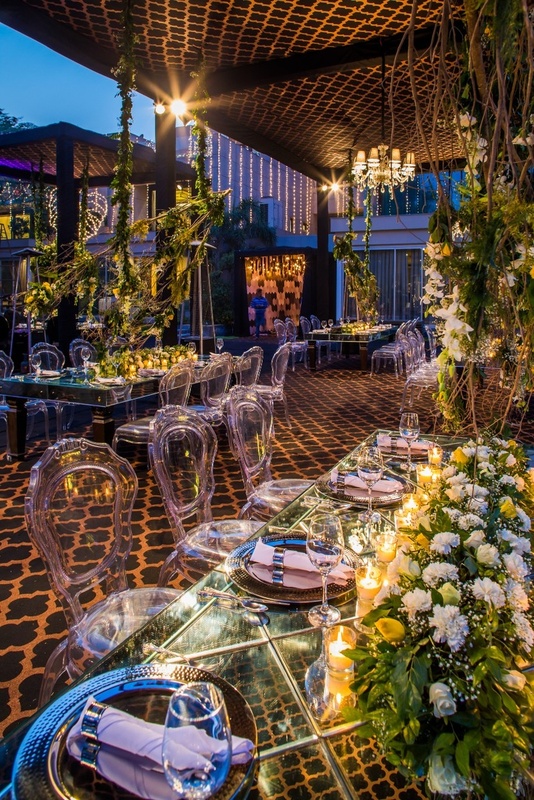 The decor of this wedding done by the Wedding Design Company was luxurious to say the least. 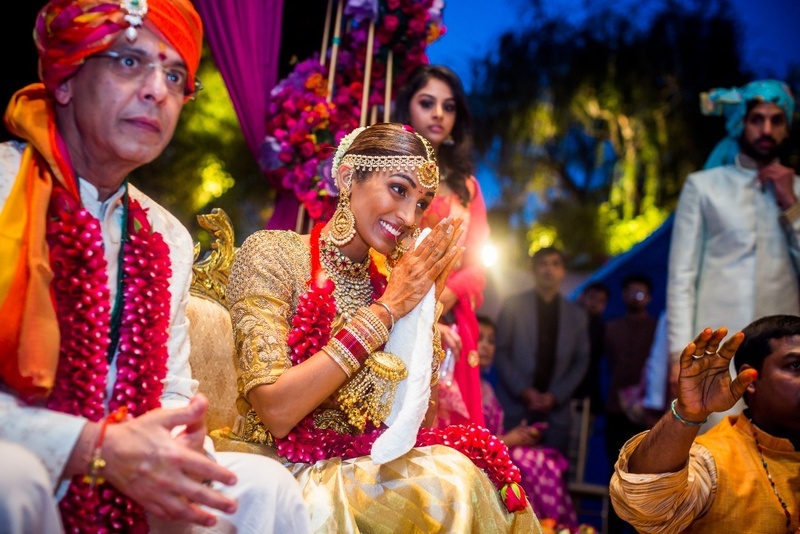 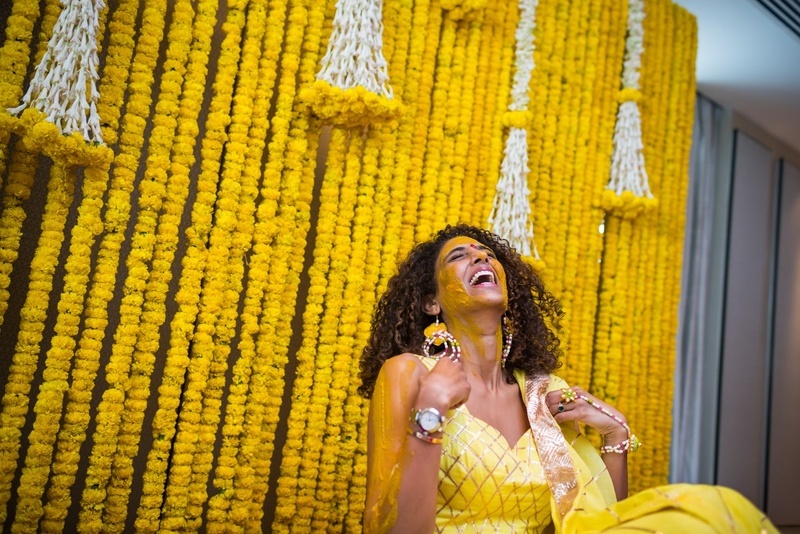 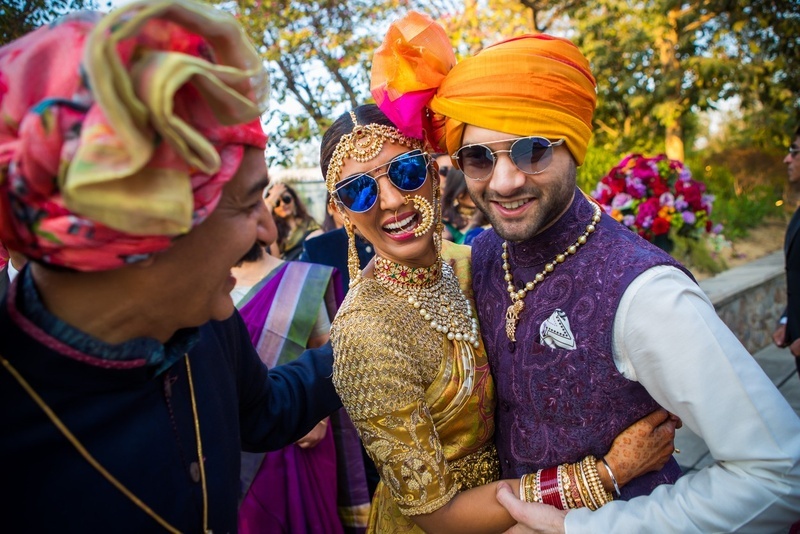 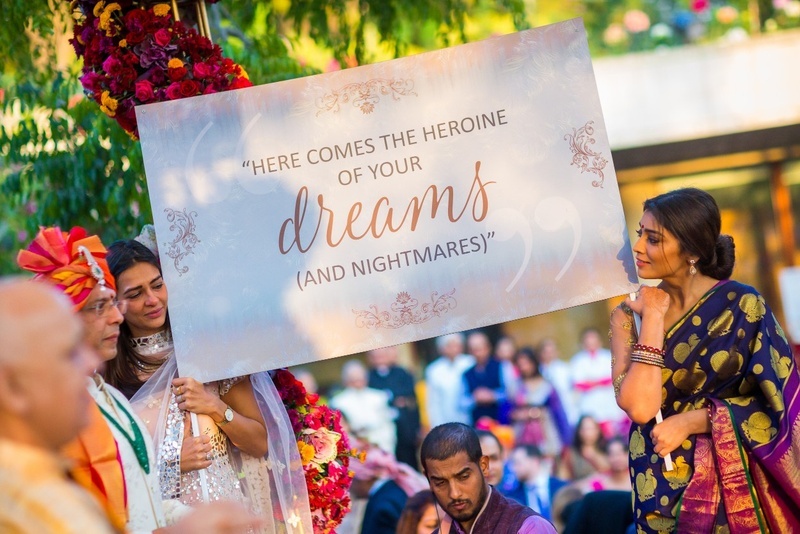 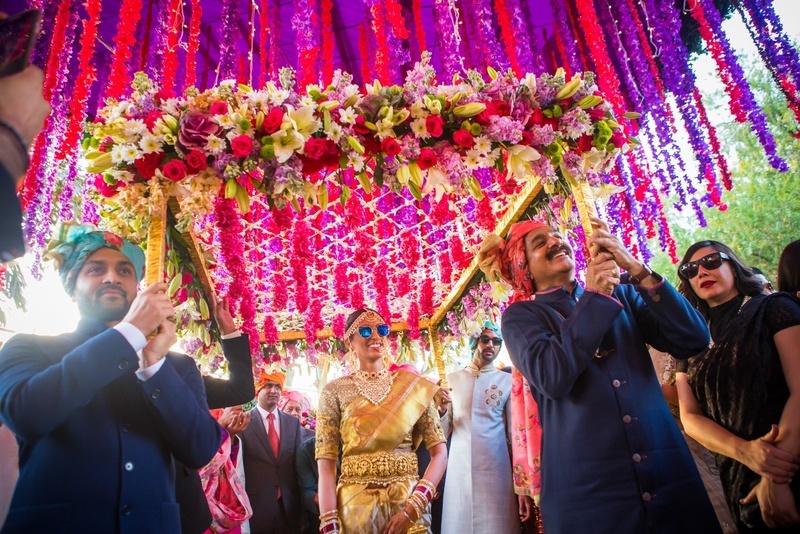 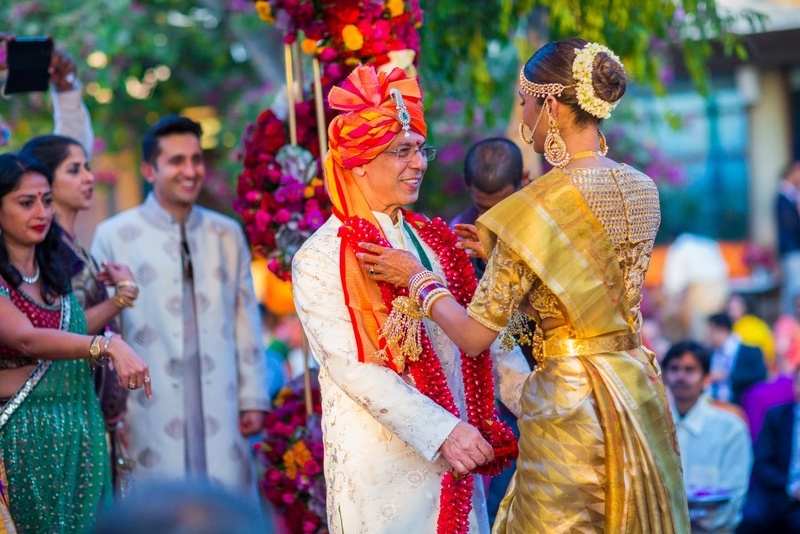 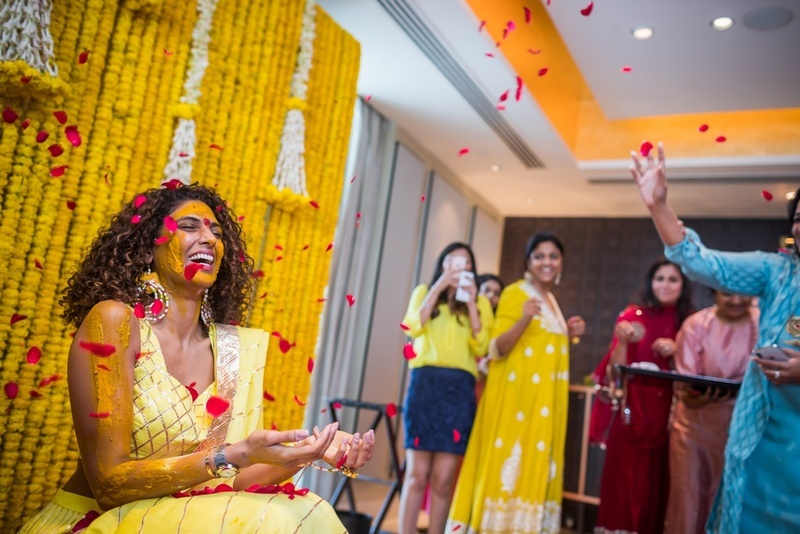 The gorgeous pictures of this wedding were captured beautifully by their wedding photographer Atul Pratap Chauhan. 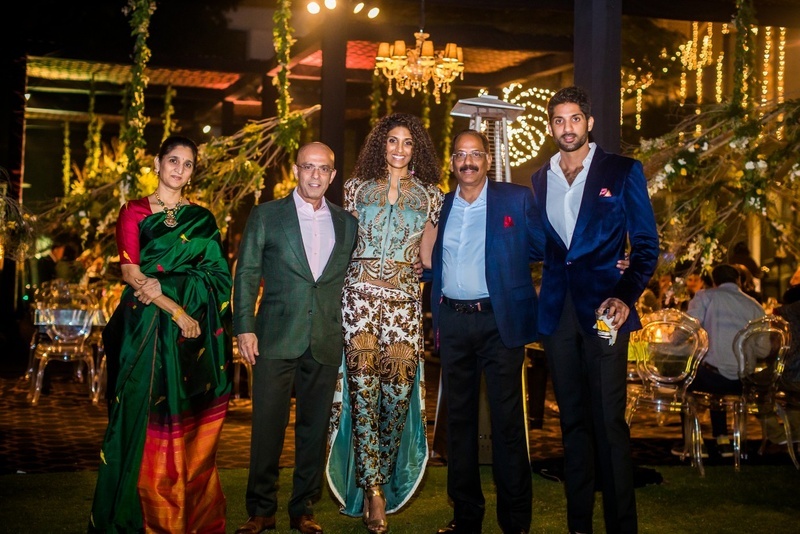 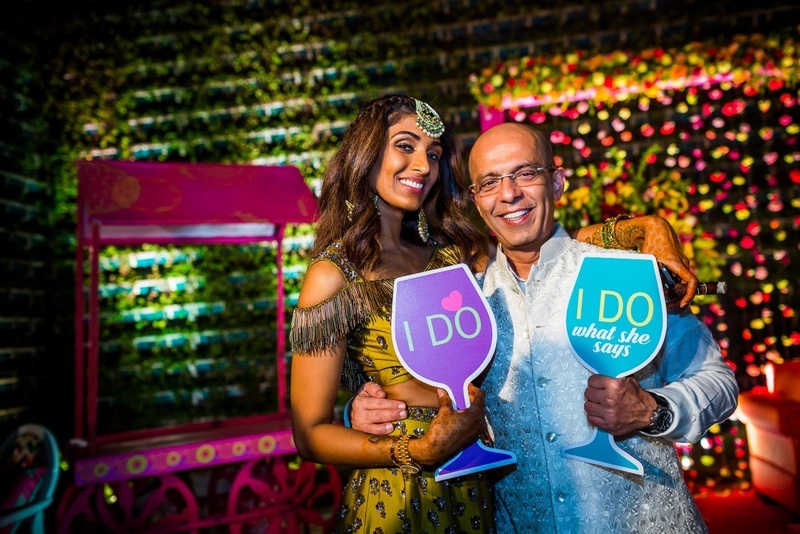 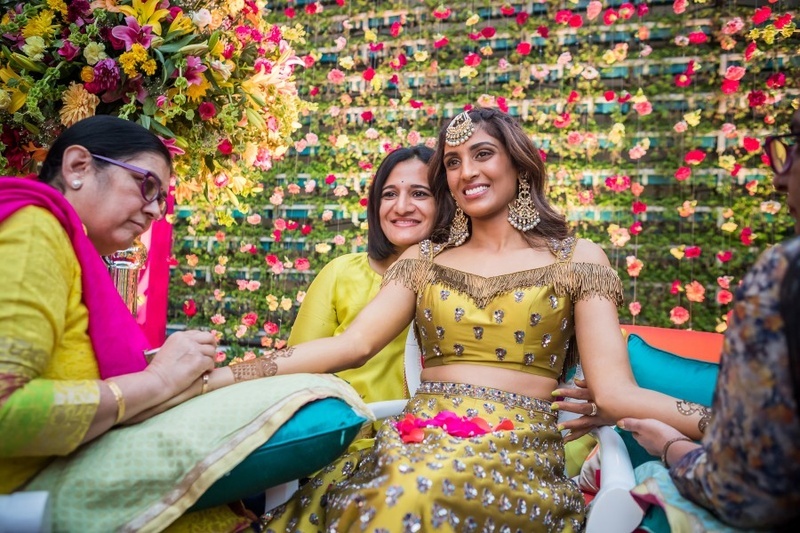 The bride opted for a beautiful green off-shoulder lehenga for this event and looked regal! 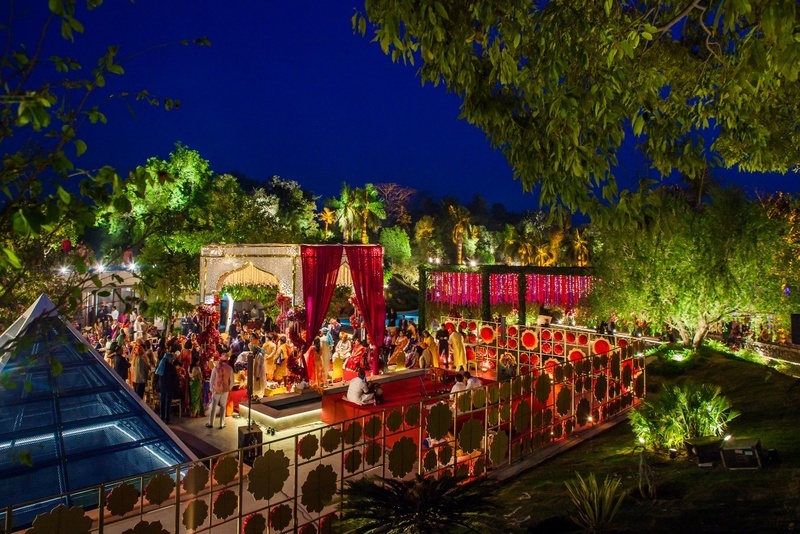 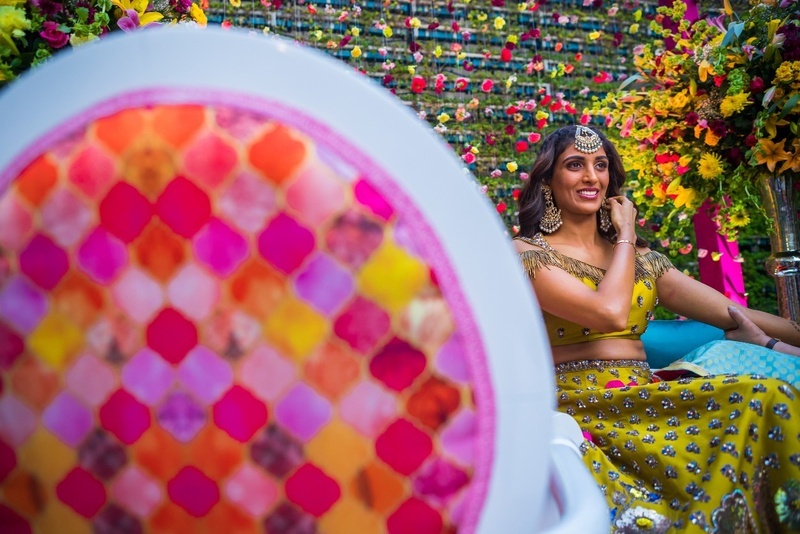 The floral setting of the Mehndi ceremony, in particular, looked absolutely ravishing! 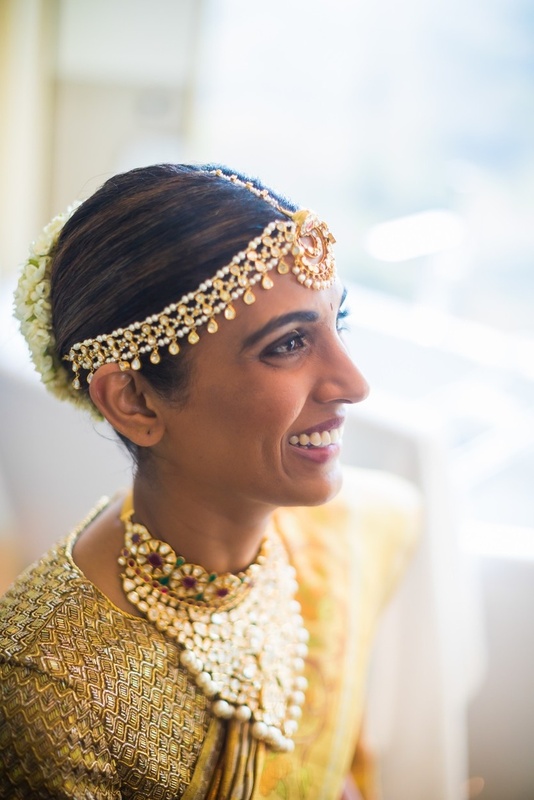 The bride opted for a statement maang-tika which complemented her beauty and her crown braided hairstyle truly made her look like a royal princess. 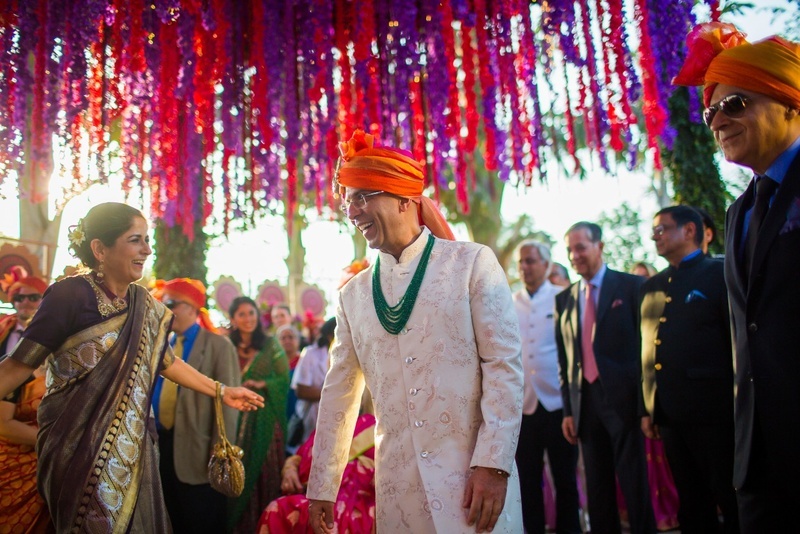 For this event, the bride went for a royal ombre high-low gown! 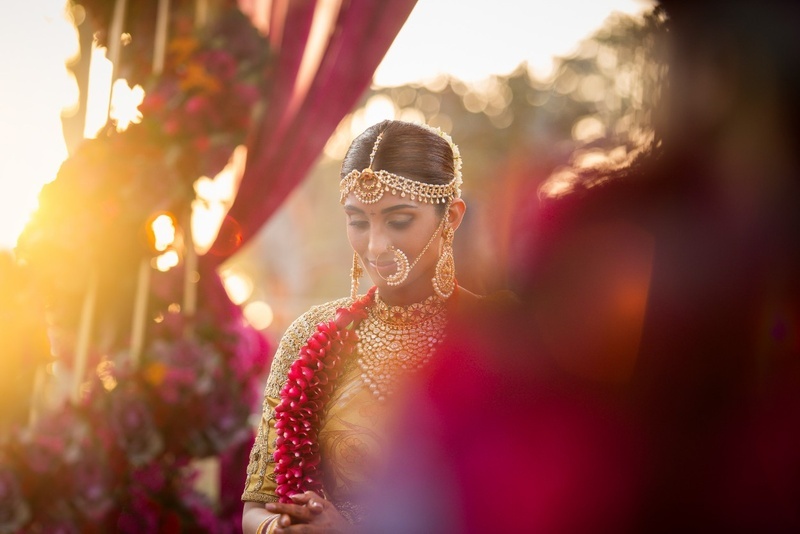 Her high-on-top bun allowed the beauty of the gown and of the bride to pop out in the best possible way! 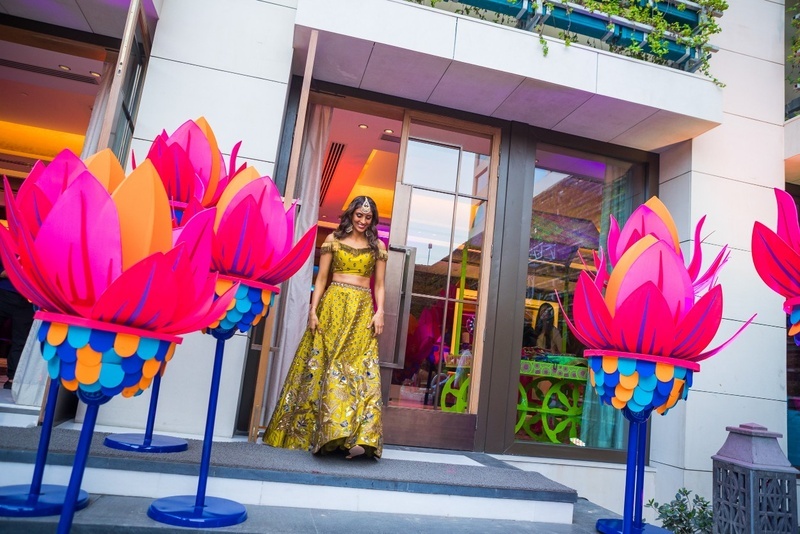 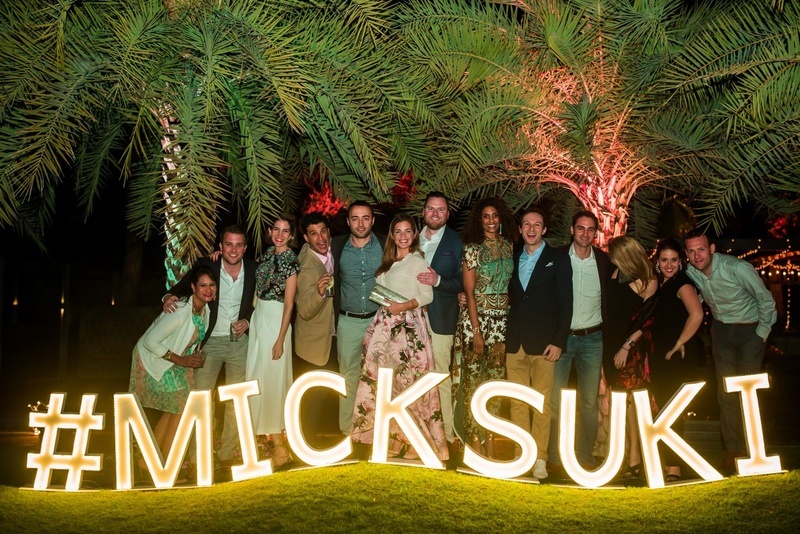 We are literally drooling over her choice of outfit for this particular event cause it was fa-bu-lous! 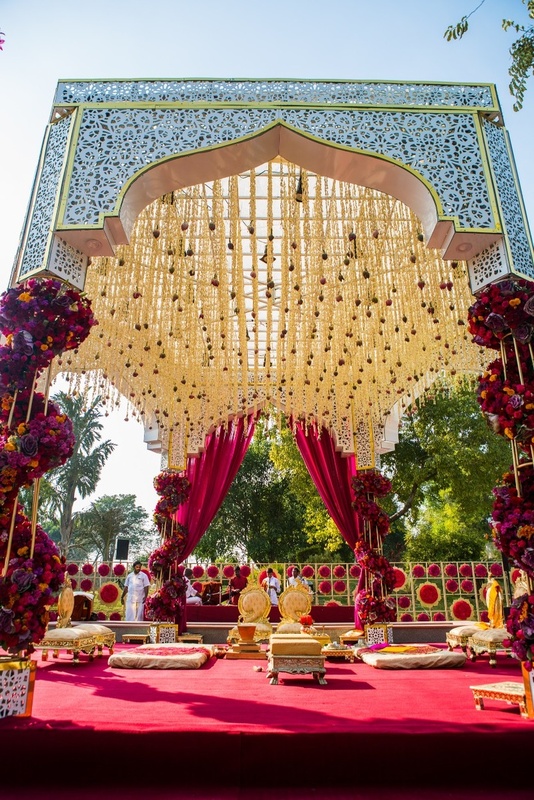 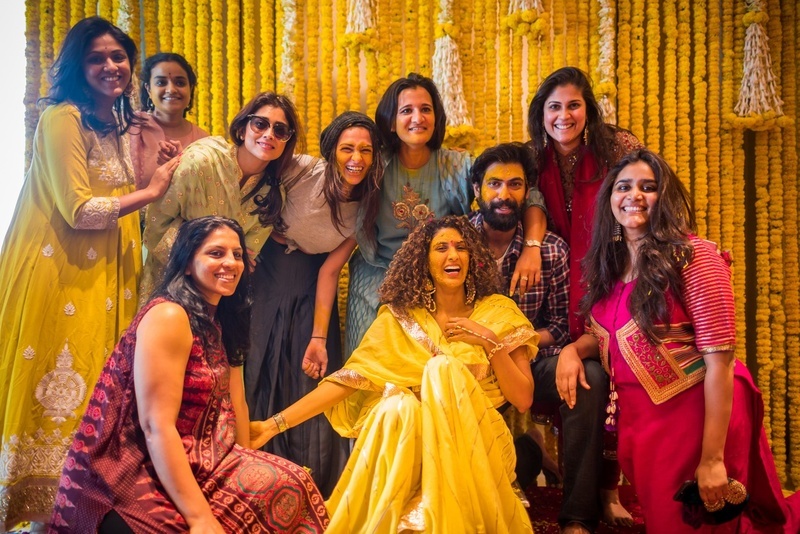 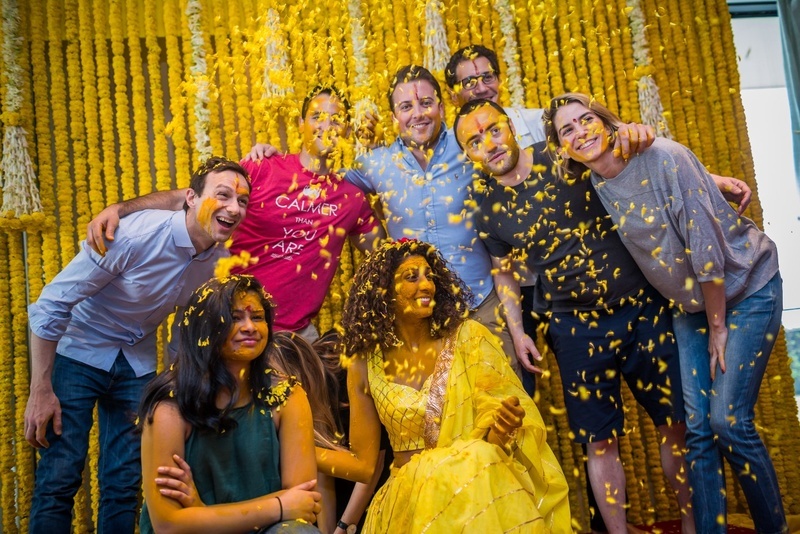 The wedding was held in a typical South Indian setting. 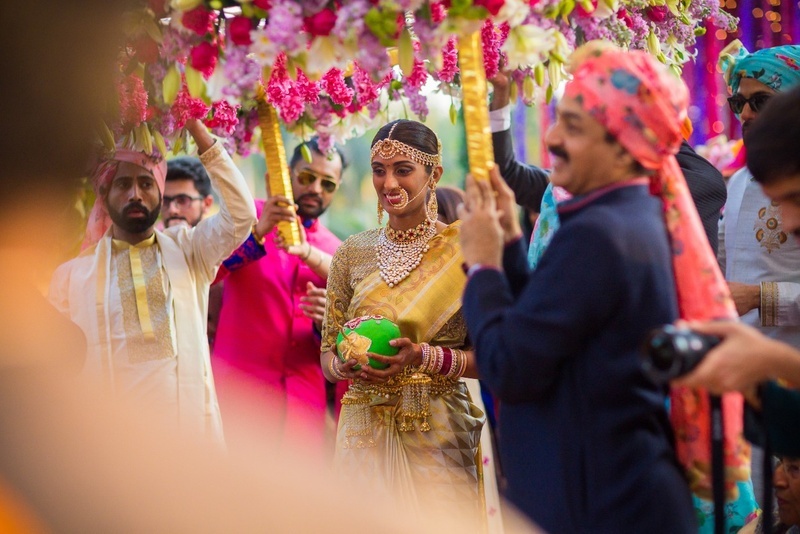 The bride opted for a gorgeous Kanjivaram saree and paired it with a statement choker necklace, a beautiful mathapatti and a nath that completed her look perfectly! 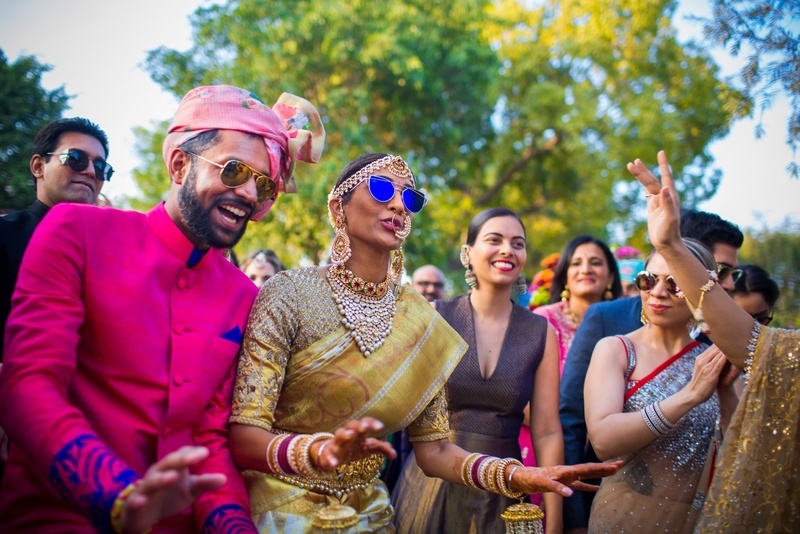 Their joyous memories captured in a frame speaks the bond of love that this couple shares and we wish them all the happiness in life!